A mighty Allied fleet consisting of HMS Queen Elizabeth, HMS Agamemnon, HMS Lord Nelson, HMS Inflexible, HMS Prince George, HMS Triump, HMS Ocean, HMS Majestic, HMS Swiftsure, HMS Vengeance, HMS Irresistible, HMS Albion from Royal Navy, Gaulois, Charlemange, Bouvet, Suffren from French Navy were ready to fight the forts protecting Dardanelles. 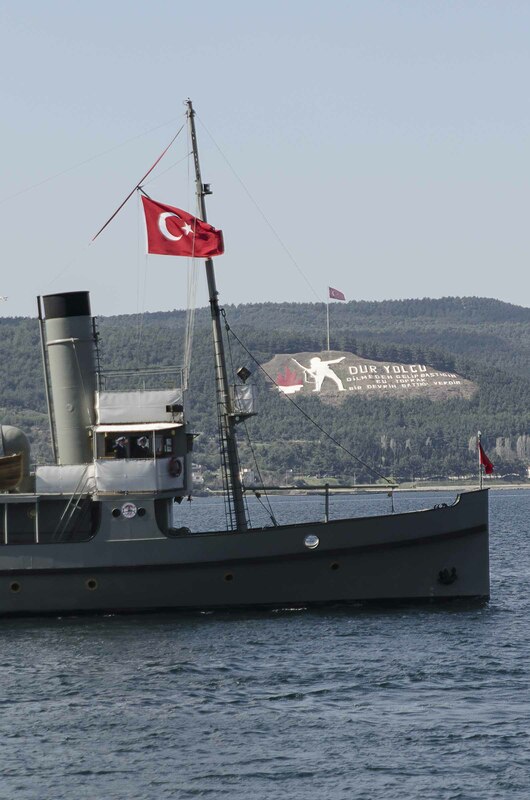 The Royal Navy and French warships tried to force their way through the Dardanelles to affect the capture of Istanbul then capital of Ottoman Empire. This, it was hoped, would take Turkey out of the war and enable the Allies to shore up the Russian war effort on the Eastern Front, so relieving pressure on the Western Front. Nevertheless it was a fine and powerful Fleet and an epoch changing fight.